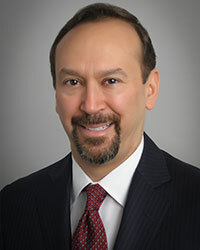 IRVING, Texas -- For Jesus Delgado-Jenkins, leaving 7-Eleven Inc. “was like peeling skin.” The executive vice president and chief merchandising officer and president of 7-Ventures LLC announced last week that he is retiring as of June 29 after eight years with the convenience-store chain to spend more time with his family. Based in Irving, Texas, 7‑Eleven operates, franchises or licenses more than 66,000 stores in 17 countries, including 11,600 in North America. It is No. 1 on CSP’s 2017 Top 202 ranking of c-store chains by size. Delgado-Jenkins spoke with CSP Daily News about his decision to step down. Q: Why are you leaving 7-Eleven? A: I love working there. I love the brand. I love the people. But my daughter and son are growing up. My daughter is 11, and she’s an aspiring actor and singer. She has got videos on YouTube, and she has released an EP on iTunes—her own original songs. And my son, he’s 9, and he’s growing up as well, and my parents are getting older, so I just felt like I needed to take time out for them, and take the summer off and then take a year of just spending time with them and helping Maya out with her career and spend time with Monica and my parents, taking my dad to baseball games—doubleheaders in the middle of the week—just really spending a lot of time with them day in and day out. So it was like peeling skin, leaving 7-Eleven. It was a very, very difficult decision. Q: How was your decision received? A: [President and CEO Joe DePinto] was very supportive, and everyone has been very supportive of me doing this for my family, and that was very heartfelt for me, very emotional (click here for DePinto's statement on Delgado-Jenkins' departure). Joe and I go way back and have known each other throughout the years, and so I was overtaken by his great support around me doing this. But it’s the right thing for me to do right now. Q: Tell us about your family background. A: My family escaped from Cuba on a 24-foot boat. My dad was 24. My mom was 20, and she was eight months pregnant with me. They were pro-American, pro-democracy and pro-freedom. So they escaped, and I was born four weeks later in Miami. We just feel very blessed to have come to this great country and have had the opportunity to work and live here and serve. I was in the military. That’s why I went to West Point, was to give back and pay back in any way I could for us living and growing up here. It has been a great experience for me. I feel very blessed to have this opportunity to take this time out with my family. It is an incredible opportunity for me. I don’t take it for granted. Q: What are you most proud of about your time at 7-Eleven? A: I’m most proud of the relationships I developed with the team and the supplier partners—all the great, talented people at 7-Eleven who really care about the customers and franchisees. There’s a lot of things that we did together as teams, just unleashing the potential of people [and] all the great work that they did. Q: Are you going to keep your hand in the c-store industry? Do you have any plans to return to the industry eventually? A: Not for now. I had a previous experience in doing this. When I was a vice president of operations at Dominick’s Finer Foods, we sold that business to Safeway. It was bought out by a private-equity firm that had a reputation for turning around grocery-store chains. I was brought in from PriceWaterhouse—I was in their strategy consulting group, and I was hired to be part of the turnaround team. We did extremely well. I then decided to take a year  off. All my friends thought I was crazy. They said why don’t you go work for private equity? Go work at a retailer. But I got a package to not work for a year so I wouldn’t work for the competition. I said I’m never going to have this opportunity again. So I spent a lot of time with my parents and extended family in Miami. I went and visited a lot of friends around the states. I went to Southeast Asia for four months, backpacking with no itinerary. I didn’t stay at any Western hotels, just local hotels. I went to Europe, South America, as well. It was a great experience for me. I reread all my high school novels. When I remember that 1999 experience, I really felt it was [like] taking an extended two-week vacation. [This time is] going to give me even more time to be with [my kids]. Q: What were some of your favorite books? A: I really like "Candide," by Voltaire. I like [Ray Bradbury’s] "Fahrenheit 451," [Joseph Heller’s] "Catch 22"; another favorite of mine was [Kurt] Vonnegut. I also read a lot of history and philosophy books during that year off. Q: As you depart, do you have any observations on the state of c-store industry and mergers and acquisitions? A: Not really right now. I just want to sit back and not weigh in on that too much. Click here for more details on Delgado-Jenkins.